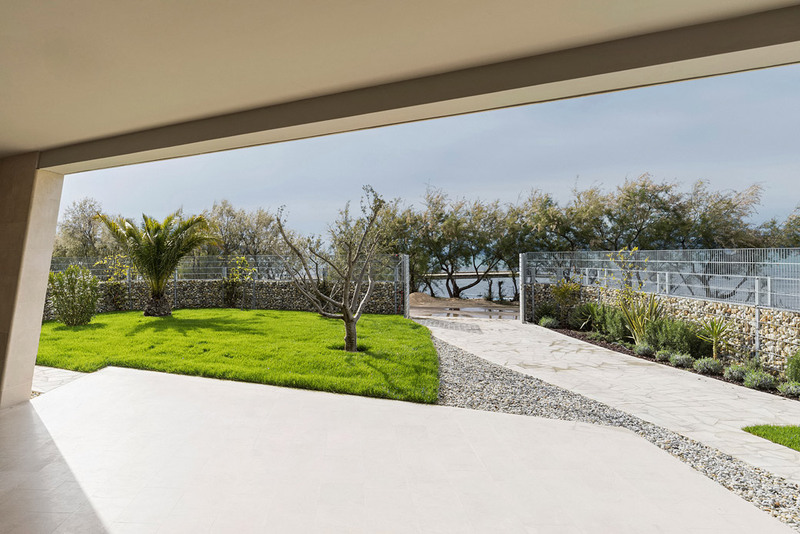 This is a house on the seashore for relaxation. 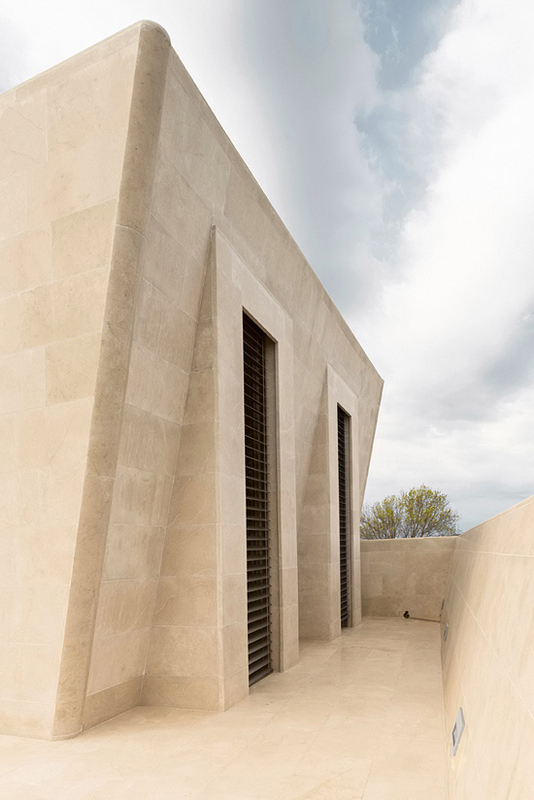 It was inspired by the Ancient centre of Zadar, famous for the local limestone, narrow streets and small yards bringing shade and coolness in hot summers. 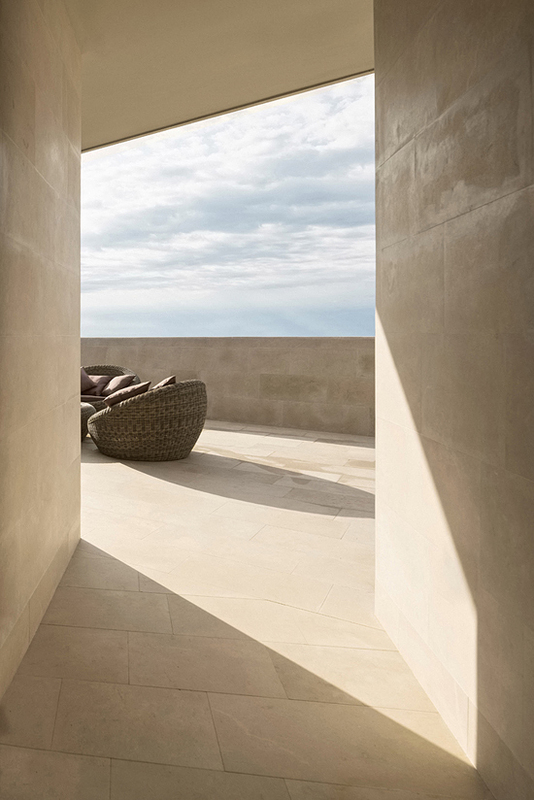 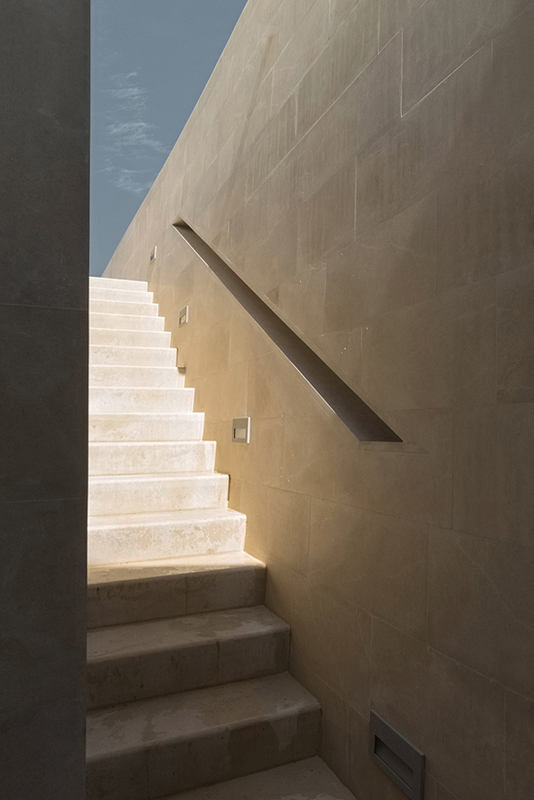 The entire house is built of Brač limestone by local stoneworkers in an unprecedented quality. 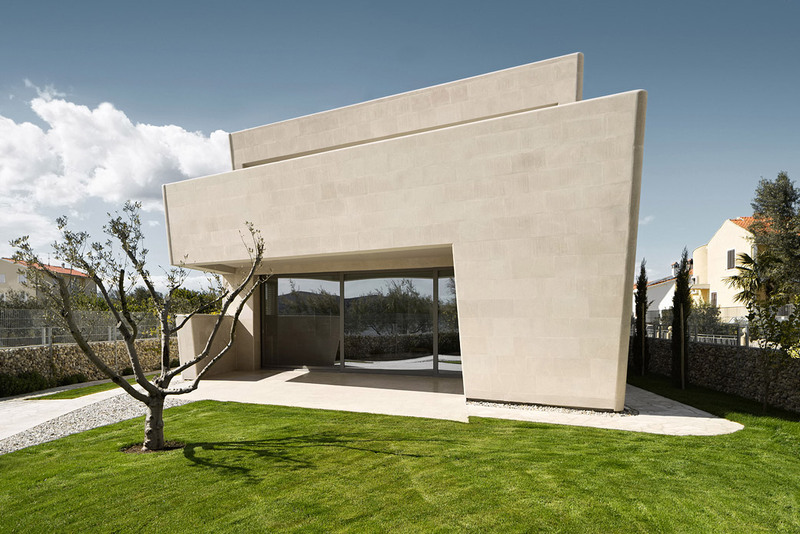 The segmented spaces purposefully wipe the difference between the interior and the exterior off. 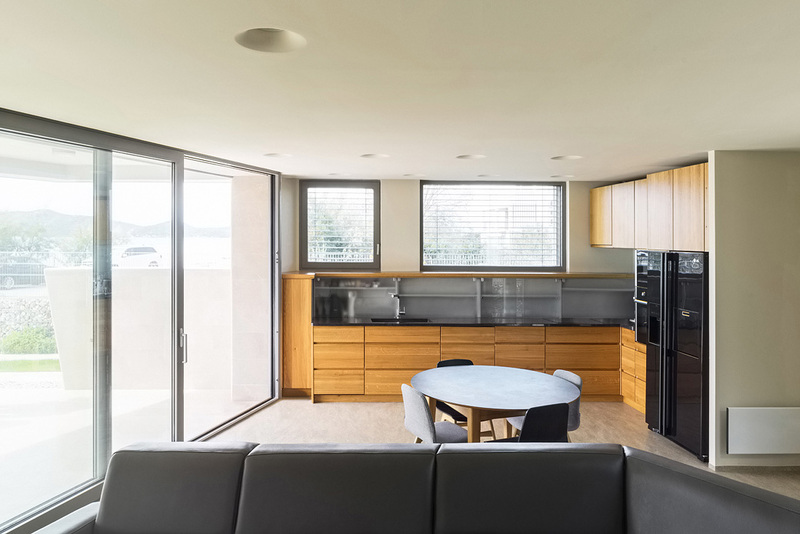 The sea can be seen from any part of the house.